Our Channel Management integration includes the leading hotel and travel companies including Booking.com, Expedia, Agoda, ATEL, RHN and more than 250 Online Travel Agencies (OTA) and Global Distribution Channels (GDS). For more information about our OTAs and GDS, contact us. What are the benefits of Misterbooking Integrated Channel Manager? Increase your visibility and make great value! Your reservations are free of commission with Misterbooking Channel Manager, no commission or additional fees are charged for transactions. The planning is updated and you avoid overbookings! Misterbooking Channel Manager offers seamless connectivity and accepts all bookings from your chosen channels. Booking details are automatically imported to the PMS. 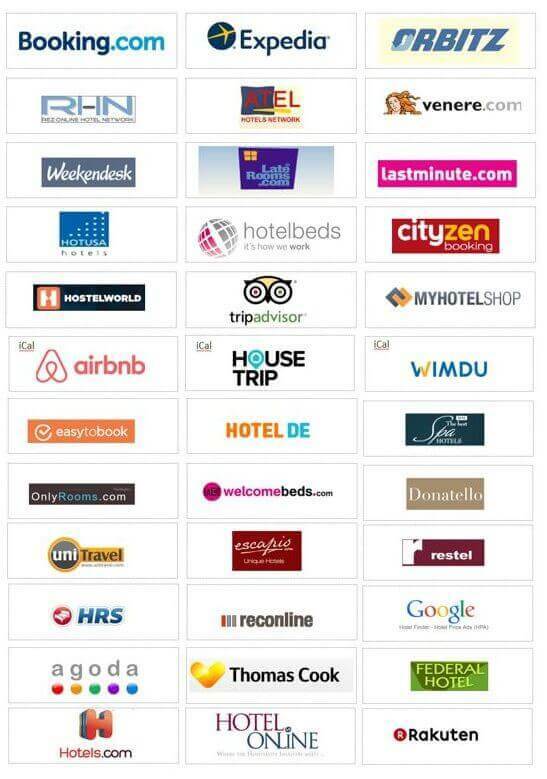 Fully integrated with Misterbooking hotel PMS! Retrieve all your guest reservation details, including secured credit card information. Cancellations and modifications are automatically adjusted. Full control of your rates and room inventory! Misterbooking channel manager handles your connected distribution channels so you don’t have to login to each channel to update your associated inventory and rates. Lovely design to increase your direct bookings! THE BEST WAY TO SELL UP AND MAXIMIZE REVENUE! Extra, package, special offers, add-ons, Misterbooking Online Booking Engine is directly integrated into your hotel website. It offers a user-friendly interface to allow direct bookings on live availability & rates. It is designed to adjust to all websites and it works in all modes and on all devices. GREAT FEATURES! GREAT BENEFITS! BOOST YOUR DIRECT BOOKINGS! Your reservations are free of commission, no additional fees are charged for transactions. Fully integrated with Misterbooking PMS, you control your rates and restrictions from one system. Credit card information are automatically imported in your PMS. You can setup online payment directly linked to your bank or use a payment gateway. The booking engine is available in many languages to make sure you reach all your target clients. Integrate your Booking Engine into your Property Facebook Page. The cloud makes the difference ! No software installation, no server needed ! Our on-site Support Team is always ready to provide technical support and customer assistance to make sure you get the maximum value of your PMS. Technical Hotline: for an immediate issue/question, you can reach our Support team directly using our Hotline. Log a Ticket: Log a support request using your log a ticket interface. You can also track your request status on your Account home page or chat with us on Skype. We analyse, find and resolve the issue, and get back to you using the same interface or by phone. No appointment is needed as we assist you remotely. Misterbooking offers unlimited User licences to create staff profiles using role restricted permissions or IP address. Users log on Misterbooking and work seamlessly from different locations. You can also retrieve staff report trail to track your employees’ actions. Our development and engineering team is regularly adding new and improved features that are automatically updated in your system. You are instantly informed to enjoy new features on your account home page including descriptions and instructions for the use of the software at its best. Our support team also provides assistance if necessary. You receive your daily Data backup (Excel format). We ensure your Data are stored in our highly secured redundant Data centres. We employ all relevant transaction security measures and processing to insure digital data security. Credit card information are encrypted and your client data privacy is of the highest level. Misterbooking is a cloud-based Property management system and no local installation is necessary. Our dedicated technical team creates and customizes the initial set up of your account according to your business needs. We assist you along each step of the process providing technical advice and guidance. We schedule 2 online training sessions (2 hours for each session) with you and your staff. Our method is designed to fit your specific needs. Video help and tutorials provide a walkthrough on how to use the system. Help tab is located in your Account Home page for quick access. Other videos are also located on the top of some features. Our dedicated team is passionate, committed, and a joy to work with!